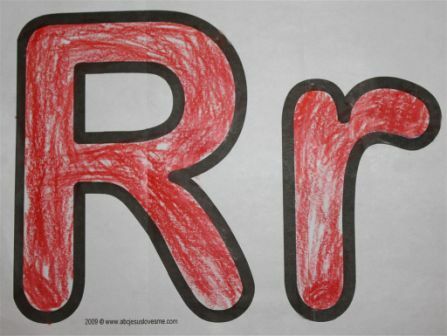 Paint, stamp, or color the Rr Poster red. - My Red Book - The "My Color Books" each contain a title, a place for the child to declare authorship (write their name), four sentences and pictures to match, and the words "The End." All of the sentences follow the "A/An/The ______ is _______." The pictures guide the child in reading the book. The books are created so that you can print them front and back and have six total pages per book. These books are specifically used at the end of the 4 Year Curriculum. - Red Red Red - A wonderful book to teach the color red and celebrate God's creation. Sadly this book can be hard to find.